When and why did you start your photographic work? 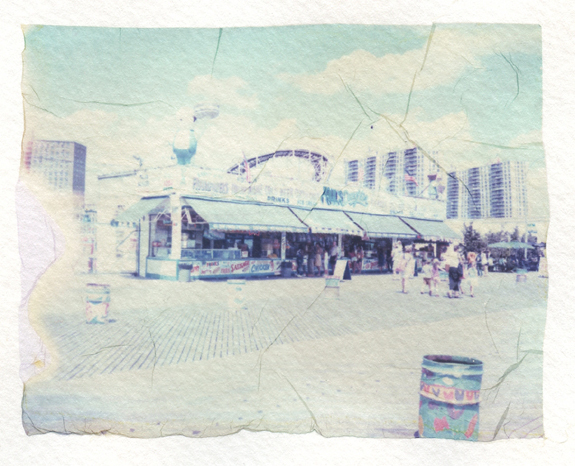 I started to shoot photographs and particularly polaroids about five years ago. 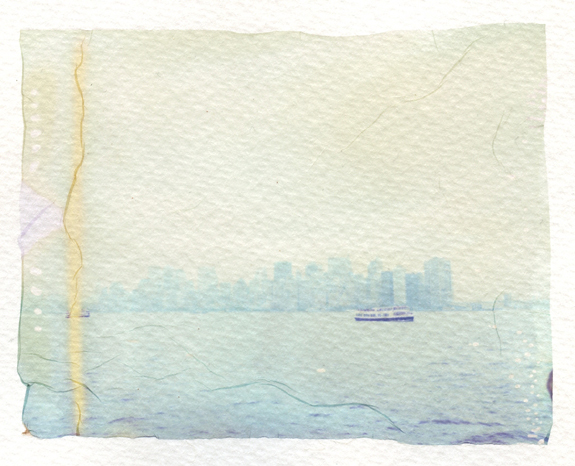 To begin with, I was just shooting polaroids for fun. I had randomly bought one on e-bay and it rapidly became a real passion. 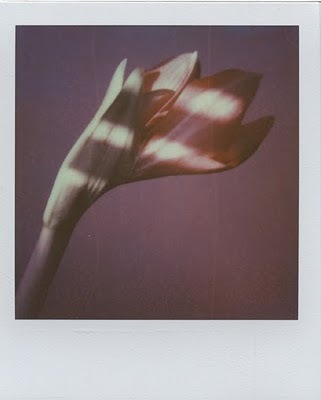 I fel in love with the typical colors of polaroid, with the uncertainty of the result and this noise when the picture ejects off the camera… It is a “whole” ! Do you have a formal artistic education? No, not at all! I really like art in general and photography in particular. I learned by watching a lot, looking and I think I still have plenty of things to learn. Why polaroid and what sort of equipment do you work with? 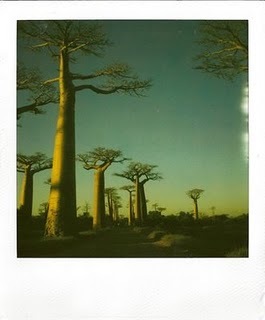 What I prefer the most in polaroid is the instant aspect. The fact of watching the polaroid picture develop is amazing. I could never finish a film and the wait before being able to look at the pictures was just unbearable. 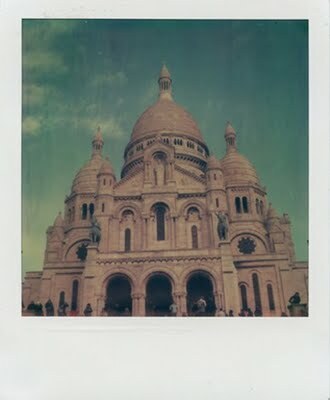 One day I’ll maybe learn develop a film myself but for now as polaroid is doing it for me, it’s just perfect! 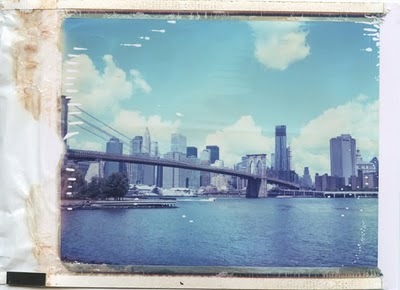 I use different cameras : I have a SX-70 and a SRL680 for square formats and I have a polaroid 195 for rectangular ones. Do you use other artistic techniques? 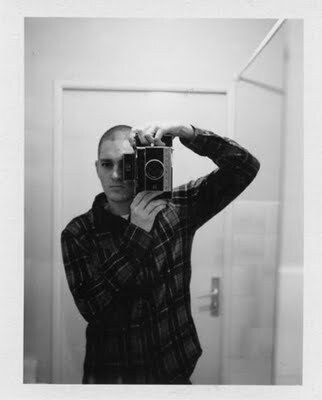 In general, it’s always linked with polaroid. I always try new techniques, different transfers, cut-ups, mosaics… There are thousands of possibilities and so many supports to try on. Do you consider your work as experimental? Yes and no. When I only shoot a picture and don’t work on the support then it’s not an experimental work. 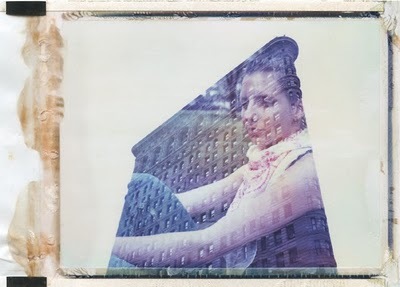 But when I do an emulsion transfer on bubble wrap, then yes, that can be considered as experimental. How do you think you’re going to evolve, what are your projects? I think I can still make progress. I carry on doing lots of tests and I’ve got a few ideas in mind that’ll maybe be on my blog or my website one day. As I’ve said there are an infinity of possibilities and I want to try the most.